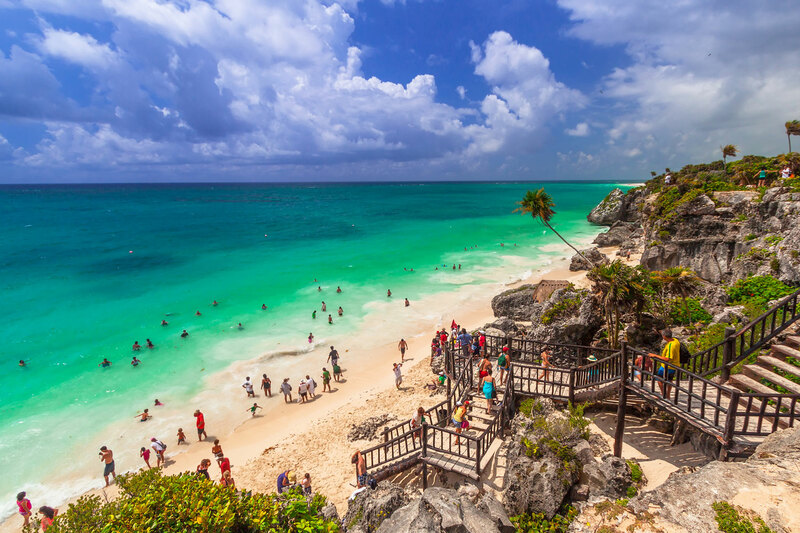 What was once home to quant fishing villages along 120km of Mexico’s Yucatan Peninsula is now home to luxury resorts making Mexico’s Riviera Maya a top tourist destination. 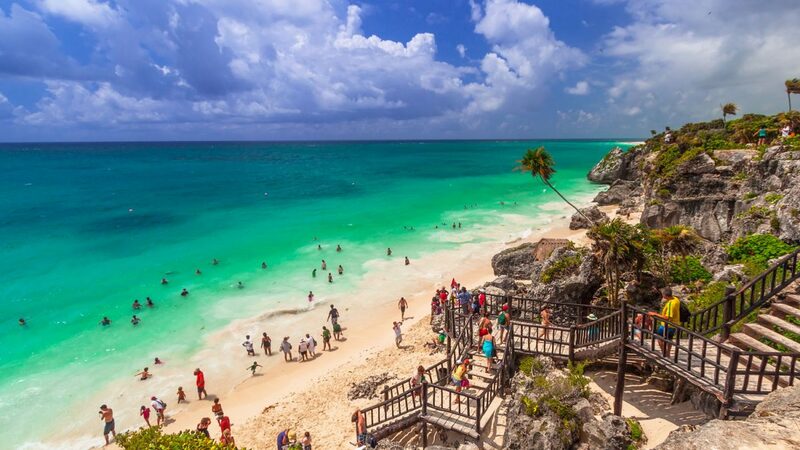 The Riviera Maya located in Playa del Carmen runs between Puerto Morelos and the Ka’an Biosphere Reserve boast some of the most beautiful beaches in the world. The area is full of activities from golf, spas, to water sports. The area is home to the second largest coral reef in the world offering opportunities for scuba divers and snorkeling for those that do not wish to plunge too deep offering glimpses of sting rays, turtles, and tropical fish. Exploring under ground river caverns and swimming in the clear cool water along the Riviera Maya is a out door enthusiast dream come true. Zip lining and horseback riding can also be found and organized. For those that enjoy a look into the past a visit to historical cultural spots nearby such as the Mayan ruins of Tulum, Coba, and El Ray or a day trip to Chichen Itza offer a opportunity to see the historical significance of the area. All of these locations are not too far and make for a wonderful day trip from your resort. The Vidanta resort brand offers five luxury properties the Grand Mayan, The Grand Bliss, Mayan Palace, The Bliss, and the Grand Luxxe. These properties all offer the best of the Riveria Maya and have accommodations to suit multiple party sizes and budgets. The resorts offer around the clock service from staff, golf, shopping, world class dining, and a plethora of eco-tourism activities. The resort complex makes a perfect home base to explore the region. Contact your agent at Concierge Realty today to learn more about these resorts and your dream vacation to Mexico’s Riviera Maya.